Paris has been working to strengthen its green spaces for centuries. Photo by Marc Bertrand, via Paris Tourist Office. The Hoxton has an interior lounge with a vertical green wall. Martin Luther King Park is located in the 17th arrondissement. New initiatives freshen the French capital. A city without greenery is like a martini without an olive. Paris, Europe’s most densely populated capital, has a short supply of green space so its size and density—but its vibrant spirit is getting a fresh lift. Since 2015, Paris’ mayor Anne Hidago has issued “greening” permits, encouraging residents to grow their own gardens as part of a larger initiative to curb the city’s carbon footprint and reduce air pollution. Whether residents want a living wall, a rooftop garden, or a spruced-up hedge, there is now license for them to try out their green thumbs (so long as they stick to indigenous plants and use no insecticides). 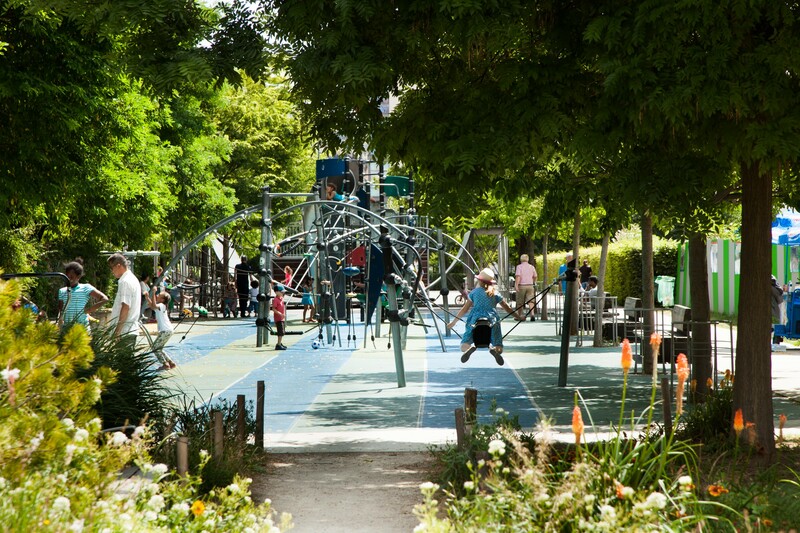 Yet while Hidago’s initiatives are putting unprecedented green power in the hands of citizens, public space in Paris has been gradually transitioning towards clean, green, community-oriented usage for decades. Indeed, Paris’ leafy inclinations are no grassroots affair. The city has been working to strengthen its green spaces for centuries, since Napoleon III oversaw the planting of thousands of acres of greenery and forest, including the four grand cardinal parks at each corner of the city. Fast-forward, and the elevated Promenade Plantée, an abandoned, 19th-century viaduct repurposed into a verdant walkway in 1993, inspired similar projects around the world (we see you, High Line). The city has been working to strengthen its green spaces for centuries, since Napoleon III oversaw the planting of thousands of acres of greenery and forest. Last year, a former expressway along the Seine River was officially pedestrianized, reclaiming over three kilometers that now link the famed Tuileries Garden with the Bastille neighbourhood, mottled with green space. 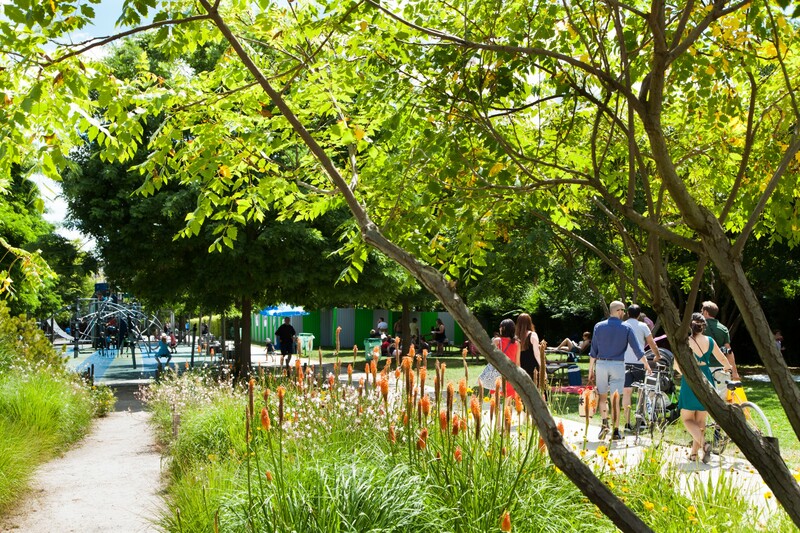 This spring, an anticipated Truillot Garden will open as a 60,000-square-foot walkway linking Saint-Ambroise Church and Boulevard Richard-Lenoir with greenery, followed by an expansion of the 17th arrondissement’s Martin Luther King Park. 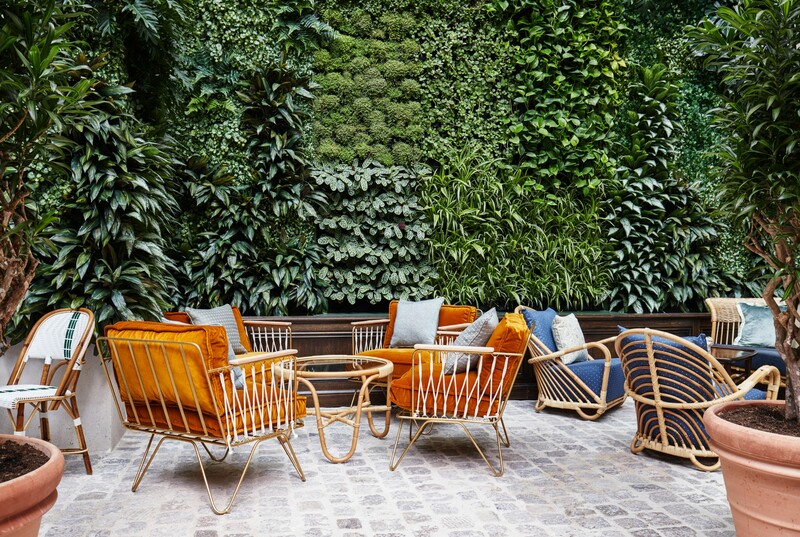 On a smaller scale, a Zen garden will soon open at Monnaie de Paris, where France mints its own green, while even the Hoxton brand, the latest arbiter of hotel cool, incorporates leafy pockets inside its new Paris hotel—an interior lounge with a vertical green wall is proving popular on Instagram. In the French capital, green is the new black.